Who was that sneaking up the stairs? Without a word she said, "Could I come in?" I said, "Why not? You're in already"
"You might as well sit down and stay awhile"
She's gone away, what can I do? She's travelled with me now in my morning starship. 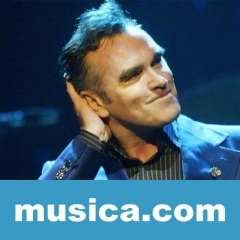 MORNING STARSHIP es una canción de Morrissey del año 2019. La letra ha sido escrita por JOBRIATH.